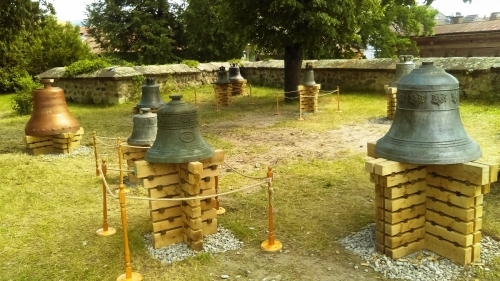 Since the Middle Ages until almost the present there were bell foundries in many Transylvanian cities (Bistrița, Brașov, Sibiu, Sighișoara). Odorheiu Secuiesc was not one of them. 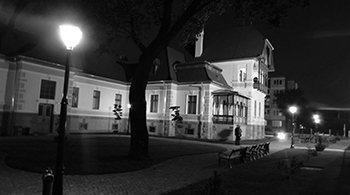 The fact that today the Szekler „parent town” is considered to be an important place for bell casting mainly can be related to Imre Lázár’s (Selwerk KFT.) activities as a bellfounder. However bell casting is just a small part of the activities of the company dealing with non- ferrous metal founding and metal cutting, since 2000 until today more than 200 bells have been founded in the workshop. 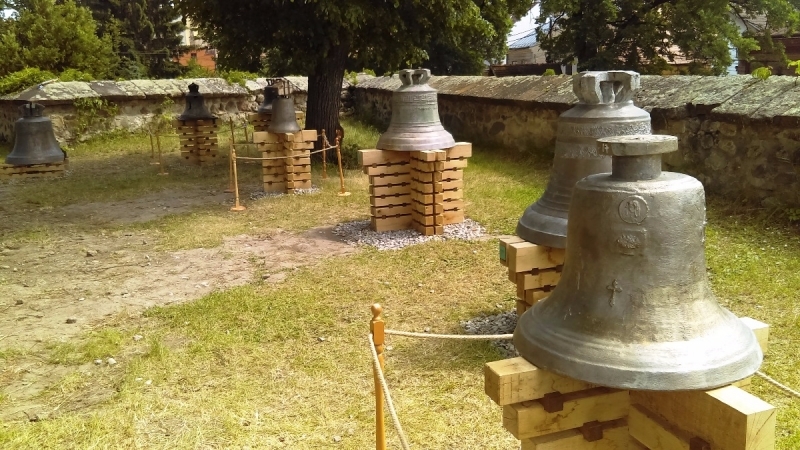 Among other things here was made the likeness of the oldest bell in Hungary for the National Historical Heritage Park in Ópusztaszer and also a big bell of 1730 kg for Békés city in Hungary according to the order of the local council. 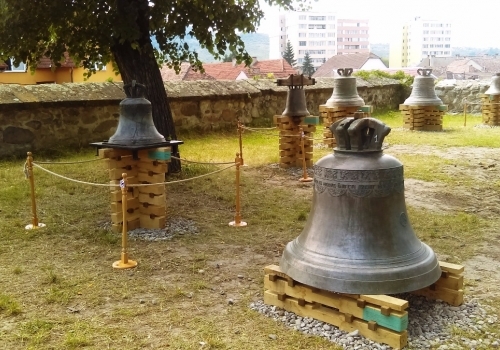 Today in Hungary there are more than 20 bells made of the company and even more in the Carpathian Basin. 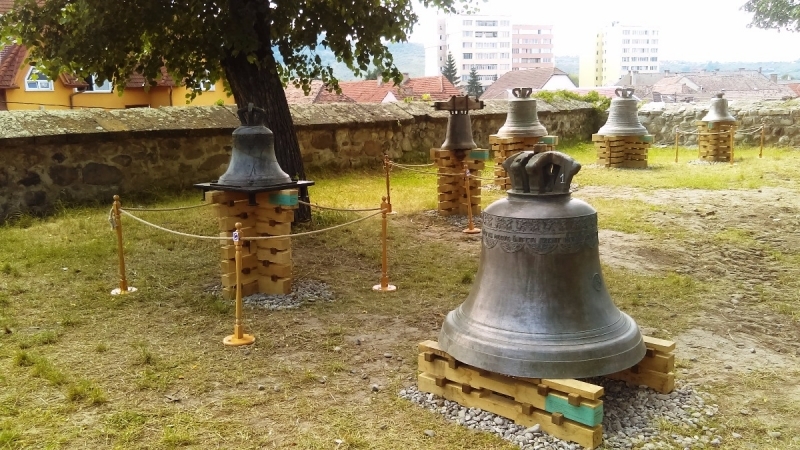 The most bells can be found here in Szeklerland. 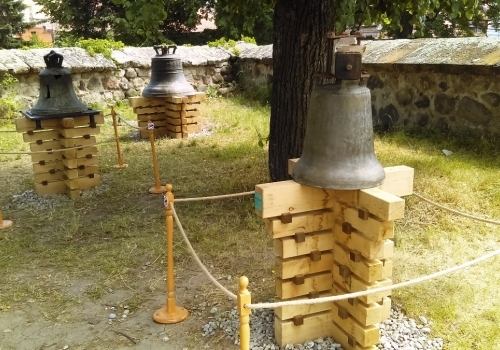 Many bells are in the Moldavian Csángó villages as well. 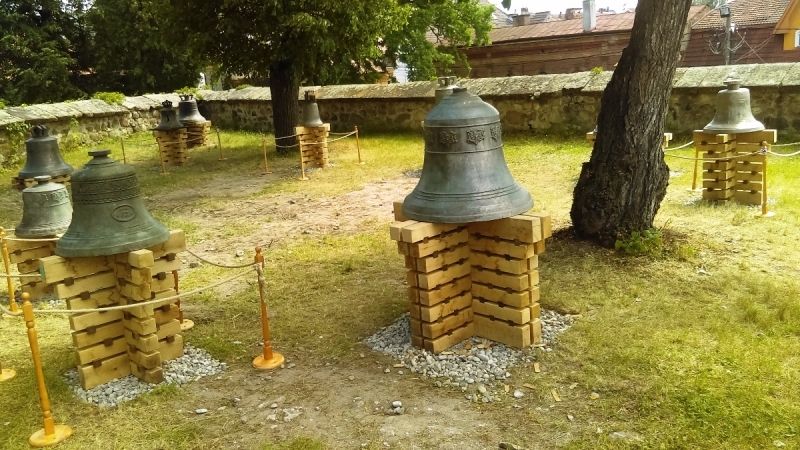 Here was founded the largest bell (2200 kg) in Szeklerland, for Ditrău. 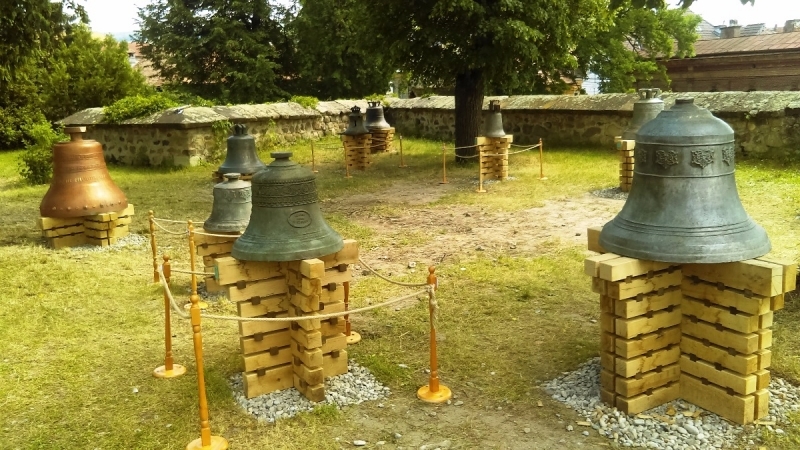 Imre Lázár not only casts the bells, but he also collects them. 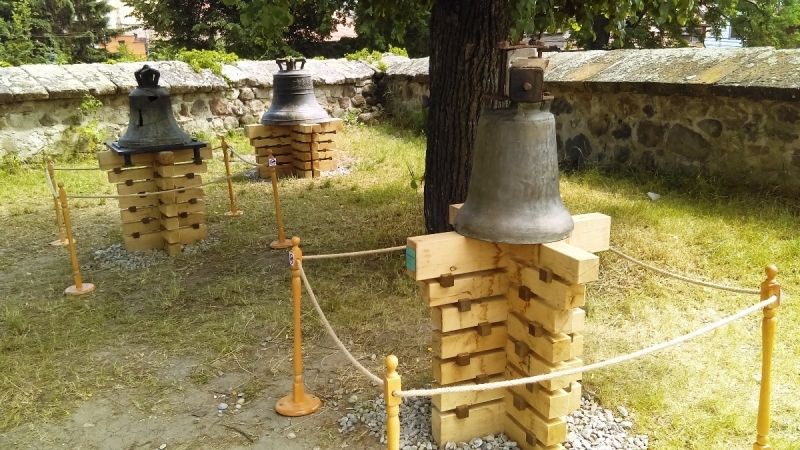 Due to his passion many cracked bells had been saved from melting and his collection consists of more than 20 bells, 13-14 of them weigh more than 100 kg. 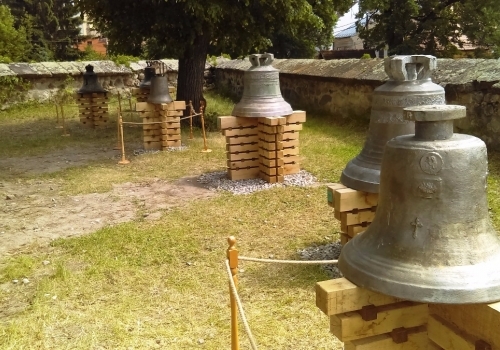 The owner gave 14 bells of the collection to the Local Council of Odorheiu Secuiesc and to the „Haáz Rezső” Museum maintained by this council, so the bells that until the present had been kept in a warehouse, can now be seen by the visitors (11 bells are placed on the Bánffy bastion on the south-western part of the Szekler- Attacked Fortress, 3 bells can be seen in the courtyard of the Town Hall). 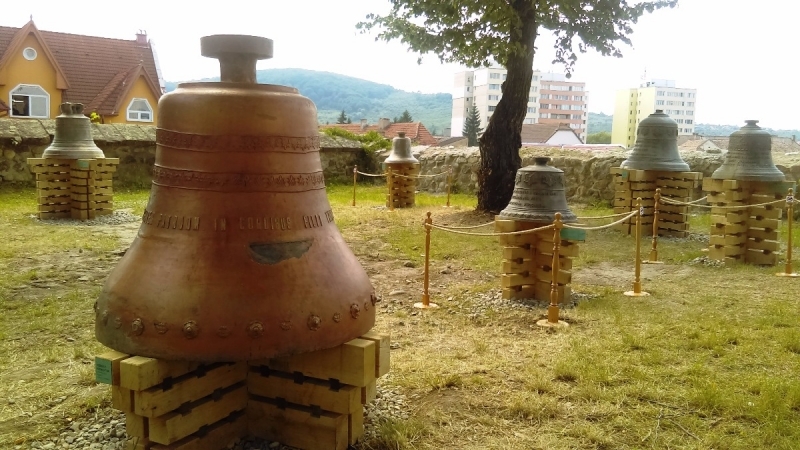 The oldest bell of the displayed collection comes from Rusciori (Reußdörfchen, Sibiu county) and it was founded in 1742 in Sibiu. 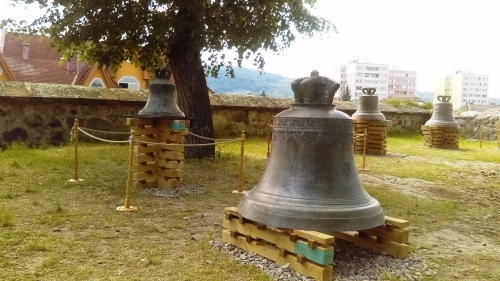 The largest bell weighs 745 kg and it was casted in 1970 in Cluj Napoca for Cristuru Secuiesc. There are two bells from the 19th century, however most of the bells were founded in the first part of the 20th century but the collection also includes some bells that have been founded later. Most of the bells have an inscription as well. We can often see the names of the bell-founder, the customer and the beneficiary community (see more details in the Data Base). In the most cases besides the inscriptions we can also see different decorations, embossments, medals. 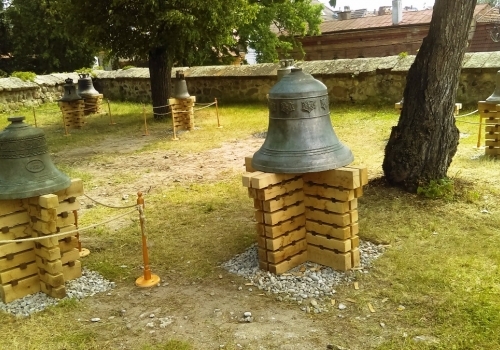 Some of the mostly decorated bells are the bell in the above-mentioned Cădişeni and the bell in Sâncrai (Harghita county). The latter was made in 1851 in the workshop of the bell-founder Fridrich Lotz in Sighișoara. It is an interesting fact that the collection also includes a bell of the Reformed Church in București that was refounded in 1950. 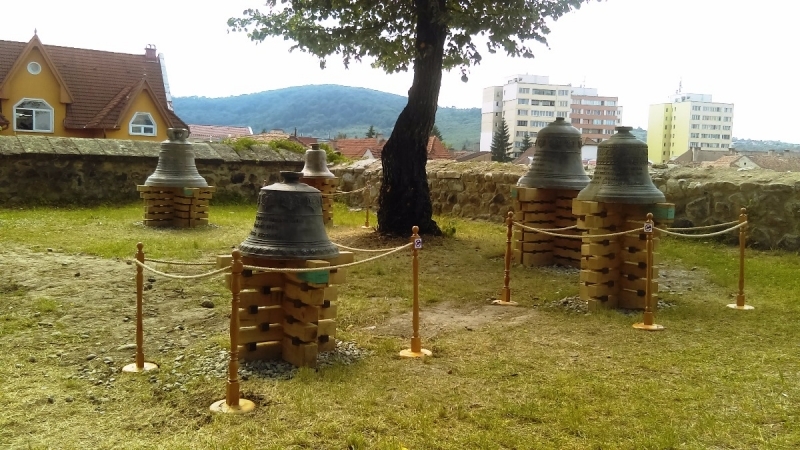 The exposition of bells has been realized in order to enlarge the tourism offer and attraction of the town Odorheiu Secuiesc. At the same time we hope that the collection can attract historical churches and this way it can grow and slowly it can become the largest bell collection in Transylvania and in the whole Carpathian Basin.